School Council sale for new PE equipment. Over £100 was raised. 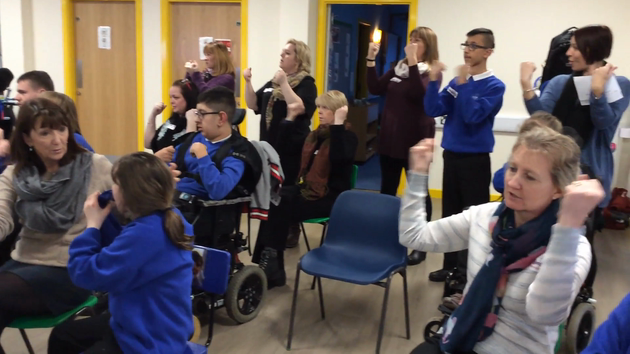 Pupils took part in a variety of activities to promote the importance of mental well-being: Outdoor games, relaxation, massage, dancing and 'cake and chat'. It was lovely to see pupils of all ages working and playing together and to see the older pupils helping and supporting the younger ones. We had an Easter Egg Hunt around school today! Everyone was searching for Easter Eggs - it was so much fun! 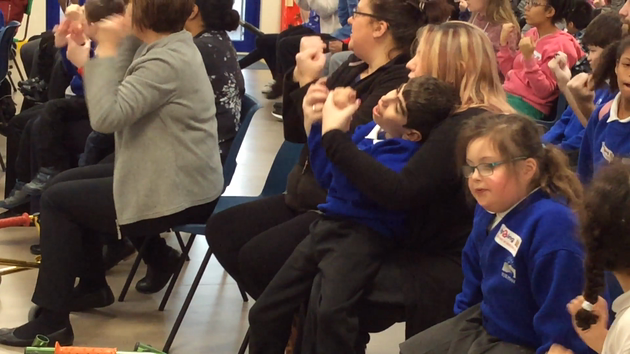 On Monday the 6th of February the whole school came together to Sing and Sing for SIGN 2 SING!! We were raising money for Deaf children and adults. We had spent the last 3 weeks learning to sign and sing the song 'Together'. Here are some videos from the day!! In December Ridgeway School bid farewell to Mr Allard. We had a special party to say thank you for all the amazing things he did at Ridgeway. The student council had a very special visit from a lady called Leanne from the Engagement and Development Team at Borough Hall. She came to talk to the pupils about what clubs and activities they would like to access in Bedford. She is going to represent the pupils' ideas at the SEND Improvement Partnership Group meeting!